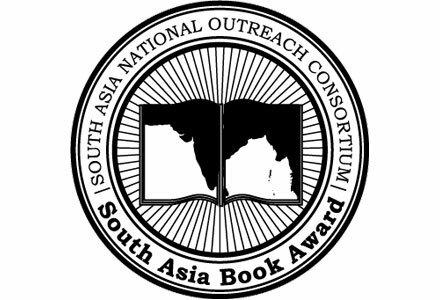 The South Asia Book Award, administered by the South Asia National Outreach Consortium, is given annually for up to two outstanding works of literature, from early childhood to secondary reading levels, which accurately and skillfully portrays South Asia or South Asians in the diasporas, that is the experience of individuals living in South Asia, or of South Asians living in other parts of the world. Up to five Honor Books and Highly Commended Books will also be recognized by the award committee for their contribution to this body of literature on the region. The Rumor by Anushka Ravishankar, illustrations by Kanyika Kini (Tundra Books, 2012). In the village of Baddbaddpur, the people like to tell tales. Pandurang is so dour that he can make milk turn sour. One day he coughs up a feather. As the story of Pandurang’s feather is passed from one person to another it grows and grows and grows until it can hardly be recognized. (Grades PreK-4). Kids of Kabul: Living Bravely Through a Never-Ending War by Deborah Ellis (Groundwood Books, House of Anansi Press, 2012). Deborah Ellis went to Kabul to find out what happened to Afghanistan’s children since the fall of the Taliban in 2001. She interviewed children who spoke about their lives. They are still living in a country torn apart by war, violence and oppression still exist, particularly affecting the lives of girls, but the kids are weathering their lives with courage and optimism. (Grades 5 – 12). Chained by Lynne Kelly (Farrar Straus Giroux, Margaret Ferguson Books, 2012). To work off a family debt, ten-year-old Hastin leaves his desert village in India to work as a circus elephant keeper but many challenges await him, including trying to keep Nadita, a sweet elephant, safe from the cruel circus owner. (Grades 4-7). The Elephant’s Friend and Other Tales from Ancient India by Marcia Williams (Candlewick Press, 2012). Drawing from three books of best-loved Indian folktales — Hitopadesha Tales, Jataka Tales, and Panchantra Tales — this graphic storybook collection, alive with kid-friendly illustrations, is infused with humor and warmth. (Grades K-4). The Wooden Sword by Ann Redisch Stampler, illustrated by Carol Liddiment (Albert Whitman & Company, 2012). Disguised in servant’s clothes, an Afghani shah slips out of his palace to learn more about his people. When he encounters a poor Jewish shoemaker faithful that everything will turn out just as it should, the shah grows curious. Vowing that no harm will befall the poor man, he decides to test that faith. (Grades K-5). Same Sun Here by Silas House and Neela Vaswani (Candlewick Press, 2012). A twelve-year-old Indian immigrant in New York City and a Kentucky coal miner’s son become pen pals, and eventually best friends, through a series of revealing letters exploring such topics as environmental activism, immigration, and racism. (Grades 4-7). Shadow by Michael Morpurgo (Feiwel and Friends Book, an imprint of Macmillan, 2012). 14 year old Aman and his mother flee the horrors of war in Afghanistan and escape to England. But just as they are getting settled in their new home, Aman and his mother find themselves in a detention center. Their only hope is Aman’s friend Matt, Matt’s grandfather, and the dream of finding Shadow, Aman’s trusted and loyal canine companion. (Grades 5-8). Tina’s Mouth: an Existential Comic Diary by Keshni Kashyap, illustrations by Mari Araki (Houghton Mifflin Harcourt, 2012). Tina Malhotra, a sophomore at the Yarborough Academy in Southern California, creates an existential diary for an assignment in which she tries to determine who she is and where she fits in. (Grades 9-12). The Whole Story of Half a Girl by Veera Hiranandani (Delacorte Press, 2012). When Sonia’s father loses his job, she must move from her small, supportive private school to a public middle school. The new school, her father’s diagnosis of clinical depression, and her half- Jewish and half- Indian heritage leave Sonia feeling more confused about herself, her friends, and her family. Grades 5-8). Download the 2013 South Asia Book Award announcement.